A series of reforms that started roughly around the late 1970s have transformed the European Parliament from an ineffective institution to an assembly with significant powers, writes Dr Georgios Papanagnou. But he argues that there is much still to be done – and this should be an urgent priority for the European political class. There is a sense of satisfaction among EU officials about the influence of the European Parliament. Many Europeans may not be aware of this, but in some ways – most notably in amending laws – it actually outperforms its national counterparts. But this process is far from over. A European assembly with higher political visibility and relevance would help assuage many popular anxieties about the EU as a complacent and remote centre of control. In light of the impending electoral gains of Eurosceptic and demagogic political forces in the forthcoming European elections, this ought to be a priority for the European political class. What form would this new parliament take? To answer this question one has to establish the parliament’s actual democratic weaknesses. It is a fact that the European Parliament performs well in terms of representativeness (degressive proportionality notwithstanding), legislative powers, budgetary powers, and to some extent in control and scrutiny. Direct elections guarantee a good level of representativeness and in principle accountability of MEPs. At the same time, the EP does have the capacity to dismiss the European Commission (EC) and to veto the appointment of its head and their team of Commissioners. Additionally, the European Council has to take into account the outcome of the European elections and consult with EP party leaders before it nominates a candidate for Commission President. Finally, to chagrin of some EC officials, MEPs do scrutinise the work of the Commission. However, this is not enough. Europeans can vote their MEPs out of office but in reality remain largely unaware of their actions inside the Parliament. At the same time, elections are organised by national parties and candidates seek (re)election as members of national and not European parties. As a result, European elections are still perceived as ‘second order’ national ones. Furthermore, the EP has unresolved issues in regard to transparency. The EC and EP joint Transparency Register quite honestly underperforms. The Register remains voluntary and offers a less than full image of the actors involved and the amounts spent. The cynical attitude of some MEPs in exploiting the generous expenses system for their own gain is also disastrous. Finally, the EP’s powers of scrutiny and oversight over the Council of Ministers and the European Council are weak. Especially, with regard to the latter they are almost inexistent. Two current trends make the situation even more complex. Recent initiatives like the Fiscal Compact (or the Two Pack regulations) mean that the EC is to become a more visible partner in the annual debate about national budgets. Contrary to much opinion the EC does decide big issues and it will do so increasingly in the near future. At the same time, the Euro-crisis enhanced the role of European leaders – especially Chancellor Merkel – in deciding the future of the EU. This strong resurgence of inter-governmentalism needs a supranationalist corrective. The history of the EU has been marked by the swing of the pendulum between these two poles. Presently, leaders in the European Council possess extremely large margins in their interpretation of the ‘national interest’, with decisions often not supported by electoral majorities ‘back home’. These developments make an increase of Community-level democracy a necessity. The way forward then is for the EP to play a more active role in European politics. This can be achieved through the following reforms. In terms of representativeness and accountability a number of additional MEPs ought to be elected in a pan-EU constituency from transnational lists put forward by European transnational parties. (This was already proposed by MEP Andrew Duff as rapporteur of the EP’s Constitutional Affairs committee in 2011. The proposal was rejected by the Plenary). In control and oversight, the election of the EC’s President must belong exclusively to the EP and the potential President ought to be able to build a parliamentary majority on the basis of a political project. Moreover, the composition of the Commission should reflect the parliamentary coalition supporting it, with its members coming from the ranks of MEPs (still representing all EU nationalities). This way what the EP would lose in independence, it would gain in increased political relevance. These changes would also strike a blow to the misleading impression that the EC’s regulations and directives are value-free. Similarly, if the EP were to have a more direct connection to the Commission, the decision making tandem thus formed would be able to act as a counter-balance to the European Council. Finally, in order for the EU to convince European citizens that its institutions are not remote bureaucracies issues of transparency must be addressed head on – for example, by making the Register compulsory. These reforms will not be easy to achieve, and will not solve all the problems associated with EU legitimacy. But in light of present and forthcoming challenges they are important step towards greater European democracy. This article is based on a study published in April 2014 by UNU-CRIS and Int. IDEA. The opinions expressed in this blog are those of the author. Dr Georgios Papanagnou is a researcher at the United Nations University, Institute for Comparative Regional Integration Studies (UNU-CRIS) in Belgium. 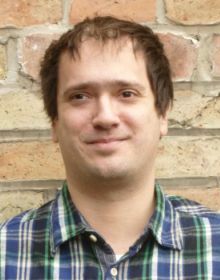 He is also Research Fellow at the Foundation for Global Governance and Sustainability (FOGGS). He has published and presented papers on global and regional governance; democracy in the European parliament; science policy links; European progressive politics, sustainability and innovation; discourse analysis and social theory.